All our CD’s are half the marked price, apart from our selection of South African independent CD’s, which remain at full price to help support our local artists. The Mabu T-shirt has been spotted in some strange places all over the world, but this is surely the strangest! I am an enthusiastic and experienced conservation scientist and landscape ecologist. Throughout my career I have largely been based in Africa in a variety of countries such as Tanzania, Uganda, Malawi, Mozambique, Madagascar, and South Africa. 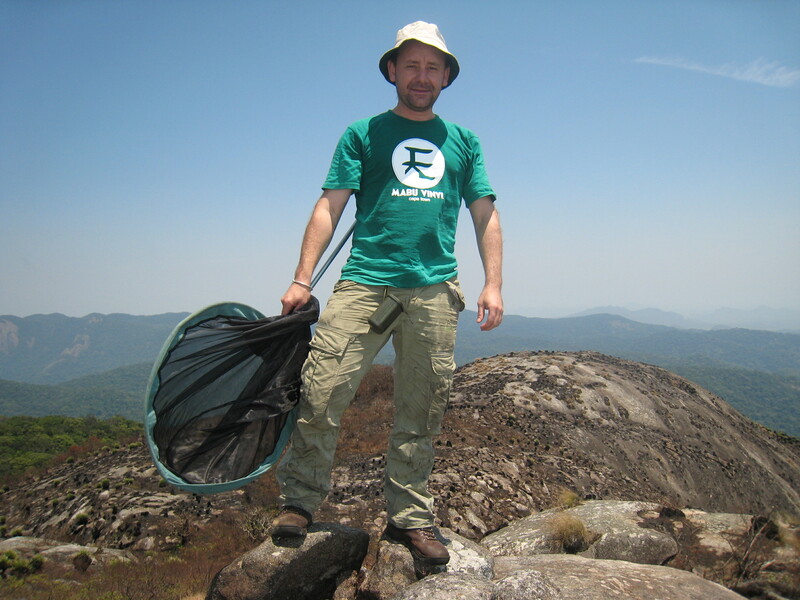 Throughout this time I have been involved in coordinating scientific expeditions, undertaking biodiversity surveys, establishing ecological monitoring activities, and implementing management incentives. Most recently I was coordinating a RBG Kew Darwin Initiative project in northern Mozambique and Malawi, which resulted in the discovery of Mount Mabu, the largest rainforest in southern Africa, and a host of new species. They named a mountain after us! Yolandi “Landi” Degenaar joined Mabu Vinyl around a year or so ago, having moved to Cape Town from Pretoria. 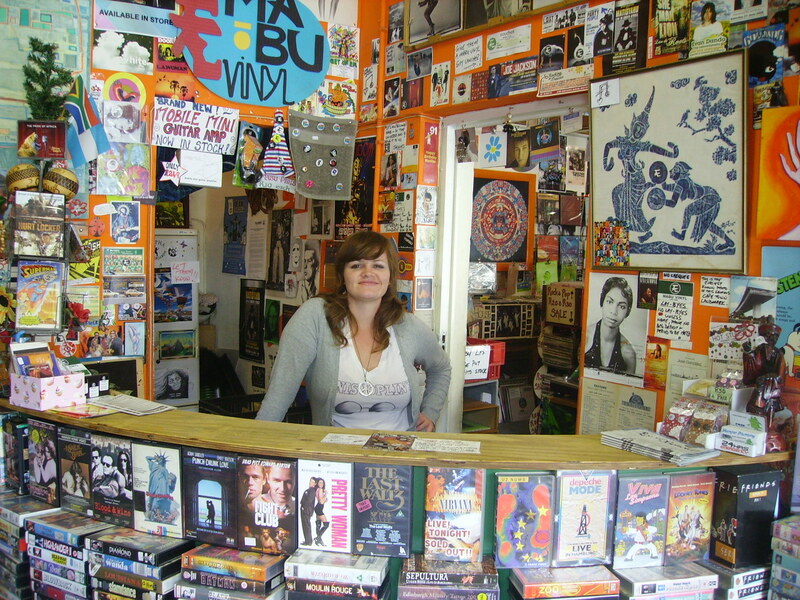 Landi has a broad knowledge of most types of music and has spent a lot of her time arranging and cataloguing all the stock in Mabu, so that she now knows pretty much everything that we have in stock, and can find anything for you very quickly. Yo Landi! You rock…. 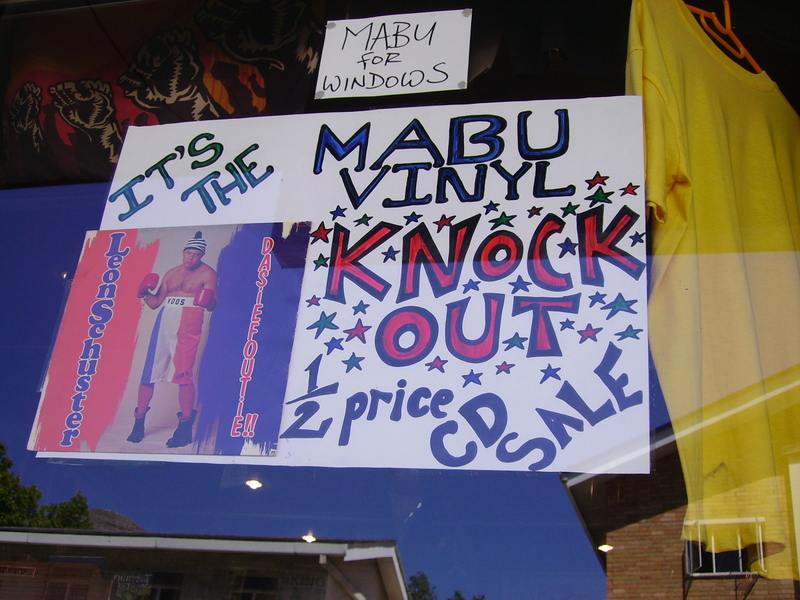 Mabu Vinyl Exclusive: 2010 SA Idols winner, Elvis Blue, releases first vinyl LP copies of his debut album through Mabu Vinyl. Less than 24 hours after winning the 2010 SA Idols competition, Elvis Blue has already released some LP copies of his upcoming debut album, exclusively through Cape Town indie music store, Mabu Vinyl. 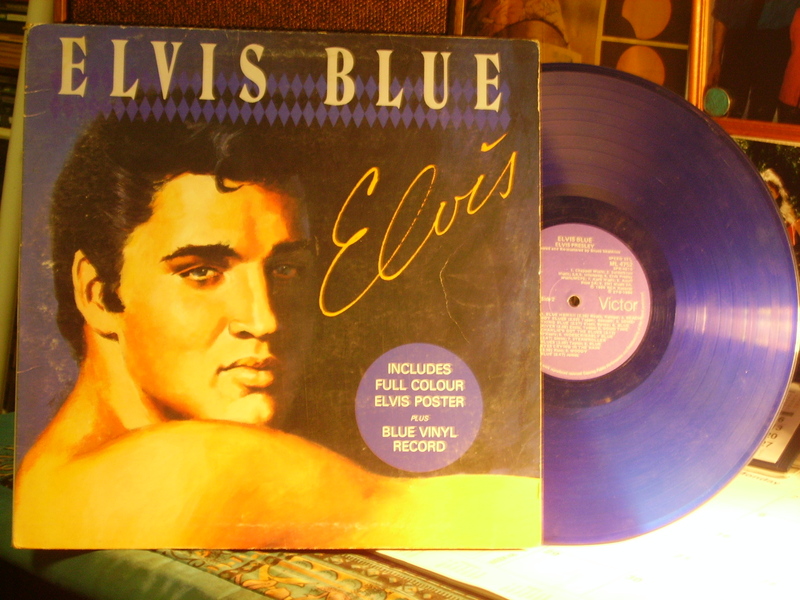 The 10-track album is in blue vinyl and is simply titled ‘Elvis’. The cover features a picture of the real Elvis, a humble tribute to the original Pop Idol who gave this victorious 30-year old-George husband and father his stage name*. The picture of Elvis Presley on the cover is also apparently an attempt to get Idols judge Randall Abraham to acknowledge that the name Elvis Blue is not a slight on Randall’s pop deity. Throughout this year’s competition, the always slightly pissed off Idols judge has consistently refused to call the eventual winner by his full name, always referring to him as “Mr Blue”. This, Randall insisted, was not a reference to anyone from “Reservoir Dogs’, but rather Randall’s preference for not taking his personal Rock God’s name in vain. You know how Randall can get sometimes…. This limited edition LP is also, appropriately, in blue vinyl and does not include Elvis Blues’ unbelievably lame first single, a boring and overly-sentimental song about his father, who gave the singer his real name, which is Jan Hoogendyk (no wonder he changed it!). After generously handing over half of his R500,000 first prize to second-placed L’loyd Cele (but definitely not half the car that he also won), Elvis Blue announced that as a further sign of their friendship, he will be adding some back-up vocals and harmonica to the debut single “Are You Ready To be Heartbroken’ by L’loyd’s new band L’loyd Cele And The Commotions. Meanwhile, renowned and surprisingly popular pianist Richard Clayderman has reworked his famous song, ‘Ballad For Adeline’, and added new lyrics as a tribute to the gorgeous blond Idols contestant who unfortunately went out a few rounds back. These new lyrics include the lines: “Oh Adeline I wrote you a ballad, coz you’re even mooier then my ma’s potato salad. Your hair, your eyes, your chest, your waist, you should have won Idols, they’ve got no f***king taste”. Limited copies of the blue-vinyl ‘Elvis’ LP by Elvis Blue are now available at Mabu Vinyl, details on the website…(don’t worry Randall, we saved you one).